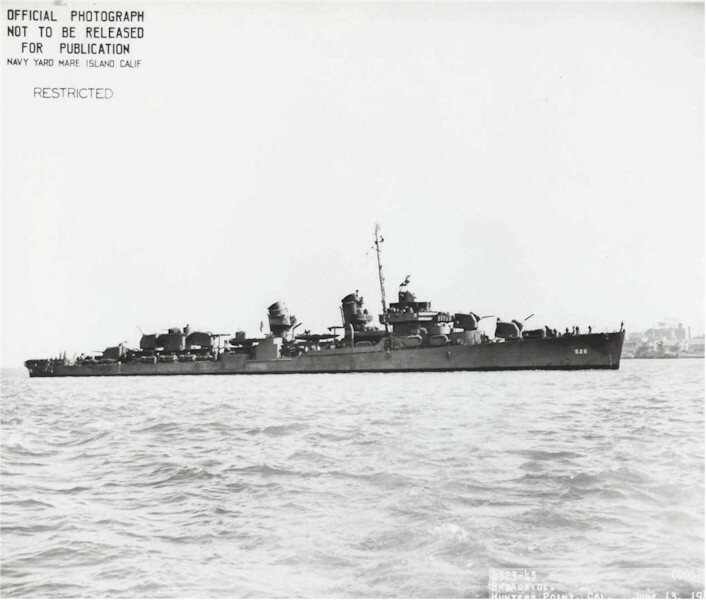 August 15, 2018 – Project Recover Discovers Stern of World War II U.S. Destroyer off Remote Alaskan Island in NOAA-supported Mission. Researchers from Scripps Institution of Oceanography, University of Delaware collaborate on the find. 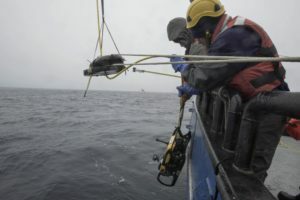 On July 17, a NOAA Office of Exploration and Research-funded team of scientists from Scripps Institution of Oceanography at the University of California San Diego and the University of Delaware aided by four U.S. Navy sailors assigned to the Naval Special Warfare Group discovered the missing 75- foot stern section in 290 feet of water off Kiska, one of only two United States territories to be occupied by foreign forces in the last 200 years. Meanwhile, the ship’s shorn stern was lost but not forgotten. 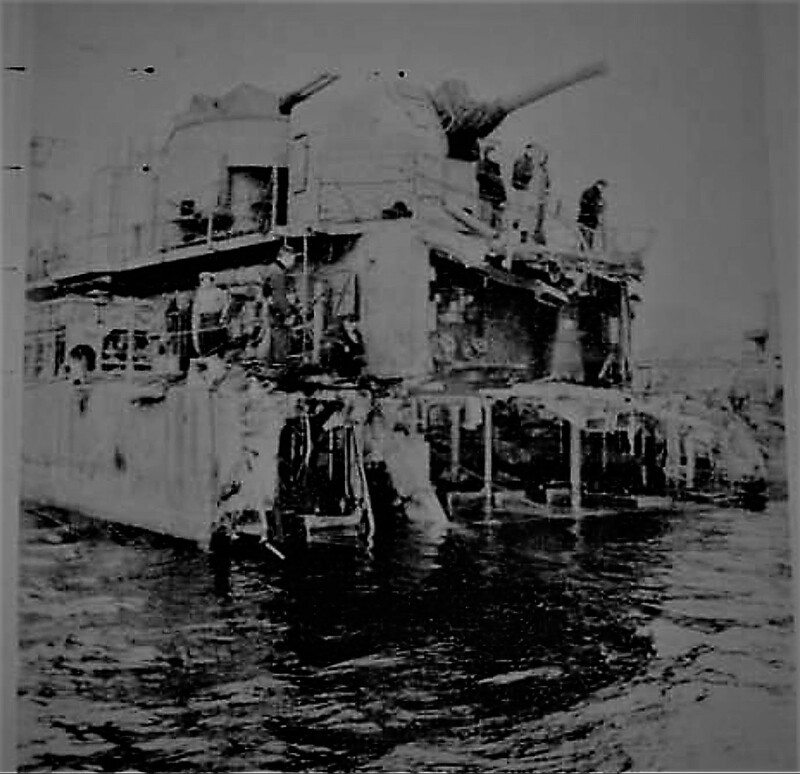 Finding it was a primary goal of the July mission to document the underwater battlefield off Kiska. In addition to NOAA and Scripps, the project was supported by Project Recover. Wrecks like Abner Read are protected from activities that disturb, remove, or damage them or their contents by Sunken Military Craft Act of 2004, though exceptions can be made for activities that have archaeological, historical, or educational purposes. The twisted metal and sharp edges of sunken military wreckage can pose life-threatening risks to divers, but according to the Naval History and Heritage Command, there’s a more important reason to protect sites like the Abner Read. They are often war graves, recognized by the U.S. Navy as the fit and final resting place for those who perished at sea. The news of this just totally floored me…i couldnt help but shed a tear.My father Preston A.Burtis jr.was on the ship he was a gunnery officer…he too was lucky enough to survive both episodes.He passed away in 2006…he would have loved knowing about this….will you look for the whole ship in Leyte Gulf.From what i remember watching the History channel it was the first destroyer sunk by kamakasie in ww2. 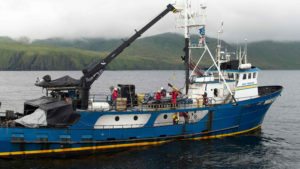 Thanks for finding this ship and bringing attention to the Aleutian Islands war. All those soldiers who died can now be honored. My dad, 101, was stationed by the Army there 1941-1944. He likes to refer to the June 1942 time as the Williwaw War. The base was constantly on full alert and he is full of stories. We have not found much information about soldiers still living, so it’s a nice surprise for him to know not all have forgotten the war fought in the Aleutians. My father, Preston Burtis, Jr. was in the bow both times the Abner Reed was sunk. Once he was in a lifeboat, the other, he was alone in the water.Hes shared a few stories with me that I treasure. But these remarkable photos, I had never seen. I work for Radio.com and we’d love to do a produced piece on your discovery. Can we use the video and images you shared with credit to you? We’ll also link back to the original. Again I warmly thank you for your treasured efforts.My sister, brother and I can barely contain our enthusiasm and gratitude. Your keeping these memories alive is a grand and Noble effort. I only have pieces of stories to share but would joyfully share them, should anyone want to hear them. What an irreplaceable gift you have given us through Project Recover. Thank you for this work. 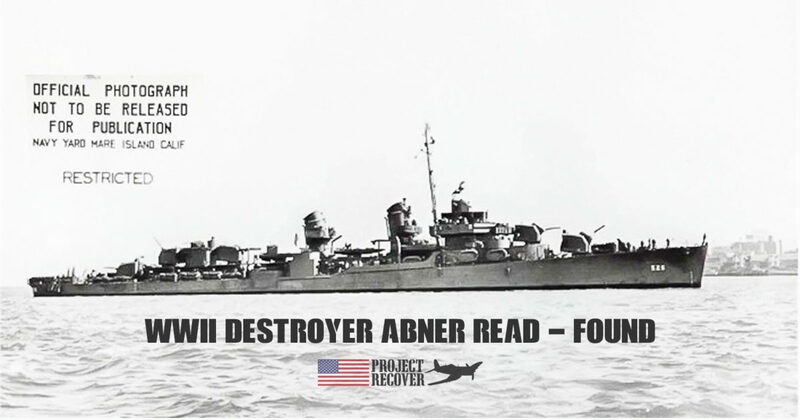 My grandfather was one of the Sailors that lost his life on the Abner Reed. His name was Sidney Augustine Phillips, Jr. My father was three years old and my aunt was just three days old. Obviously the family was devastated. The Navy would not confirm the deaths so the family held out hope he was a POW. To read all of the letters from that time is very touching. It was a dream of mine that this would happen and these sailors would at last be found. I do wish my grandmother was still alive to see this. I know my father and aunt will be very comforted by this find. We have all been very proud of the saccrafice made by our grandfather and I am truly grateful for all involved in making this discovery possible. Words cannot express my sincere appreciation to your Team. My Uncle William “Billy” Grady Swann, Machinists Mate 3rd Class, went down with the stern. His sister, my mother, is 91 and was a senior in high school when their family received the telegram from Rear Admiral Randall Jacobs on 28 August 1943. She was with me at the beach in SC when we heard the news on August 16, 2018 of the discovery. We were glued to the computer and news all day. She and her younger brother (age 87) are the only Swann siblings left (of 8) to hear this news. Mama has Billy’s Purple Heart and other medals. As a child, I would visit his grave in Stellaville, Jefferson County, GA and was haunted by the words “Lost At Sea”. I thought he would come back one day, saying he had swam to an island and lived there until he could make it home. Child-like wishes, I know. The Swann family cannot thank you enough. You have truly brought closure to us.